So, I've already professed my love for these LilGadgets headphones. When we were searching for travel toddler headphones for Parker, we did a bit of looking around, and hands-down these were our favorite. We knew we wanted something volume-limited for safety, but the LilGadgets headphones were also super sturdy (the cord is wrapped in fabric), came with a shareport (so when we want to listen along we just plug our headphones into his), and were able to fold up to save space. Plus, I thought they were all-around the best looking. I like to let Parker make choices whenever possible (you know, fostering that need for toddler independence! ), and he selected the green pair. But really, they're all super cute! 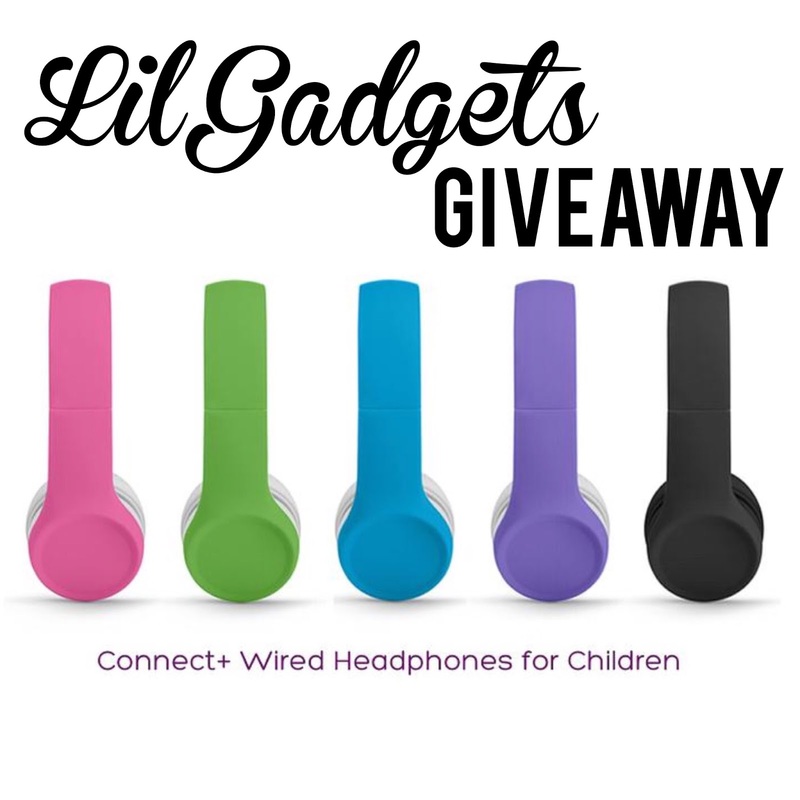 The kind folks over at LilGadgets have graciously offered to give away a pair of the Connect+ to one of you! You will love them. Bonus, they are bundling the headphones with their Carbuddy Headset Mount. I'll be randomly selecting a winner one week from today. To enter, just comment below with where you picture your tot using them! On a plane? On a train? In the car for road trips! I love the look of these!! We would use these as Hudson👶🏼 got a little older for plane rides, car rides, and large, loud events, like sporting events and things! Thanks for the opportunity! I could really see my Jack Jack using them at places where things get a little too loud...like concerts or sporting events. Oh fun! Those look awesome. They'd be great for the plane or in the car for my kiddos! I would love to have a pair of these! They are so perfect. My little guy would use them on the plane, and also on road trips. Also, anywhere that might get too loud, like baseball games or Super Bowl parties! These look great! 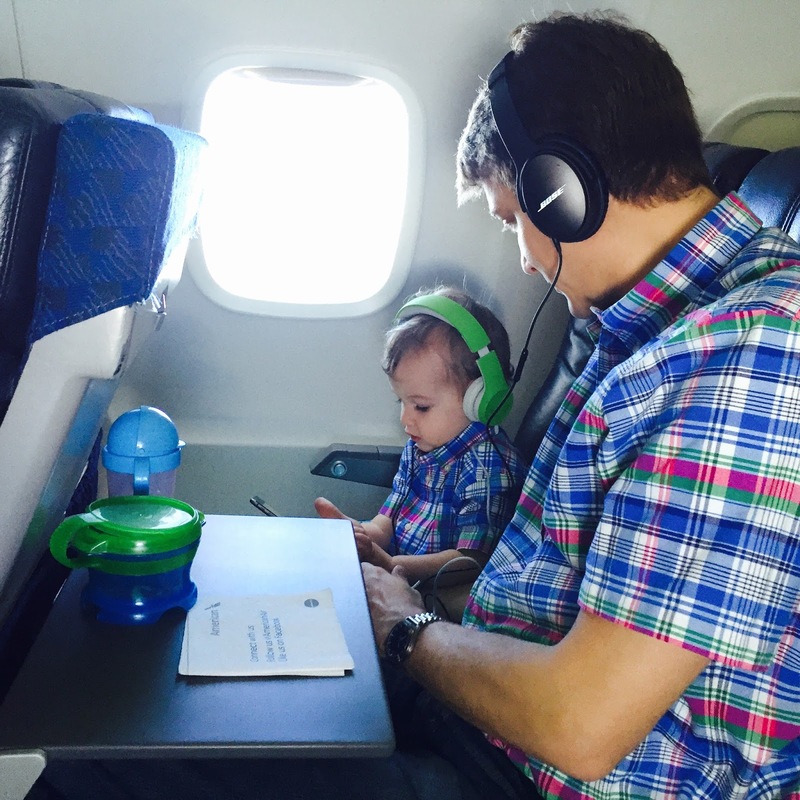 Being on lots of planes with little ones, we found the hard way that earbuds don't work. Doh! But we could def use some kid friendly head phones. Awesome find Mande! When I teach piano lessons at our house to other kids! Oh would LOVE a pair for Nathan! I see him using them on the plane to come see his Nonni!!! Considering we're headed for the plane in about a week, Ellie would wear them there. But that won't happen in time. Maybe for our trip in April! What a great give away!! Noelle would definitely be on a plane watching Mickey Mouse Clubhouse and dancing in her seat to the "Hot Dog" song. These would definitely be handy on a 14 hour plane ride to Hong Kong! I was between 3 brands and think these are the best option for the little one. In the car or plane would be nice. They are so fun! I could see our little granddaughter using these on the long car ride to see her "Oregon" grandma and grandpa....and hopefully, soon, on the even longer flight to Paris to see her Tati and Tonton!